This is the twenty sixth part of our series on the 99 Names of Allah (s) for children. 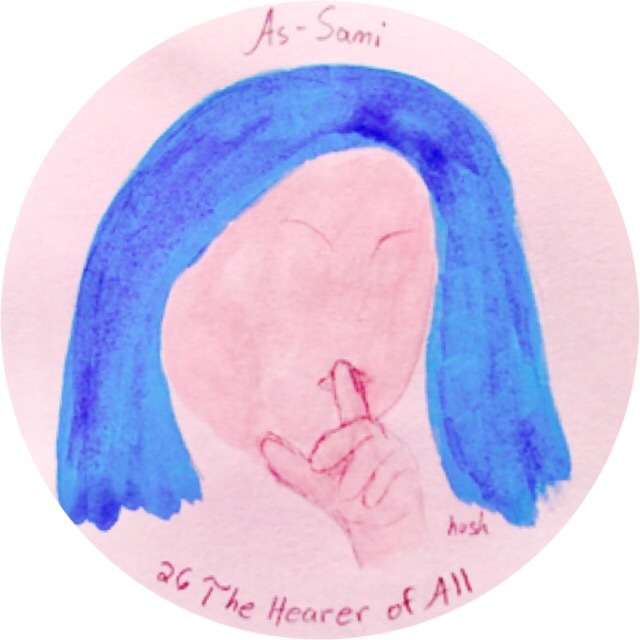 The name Sami means divine hearing or hearing all. This can also mean the sounds that we hear and the sounds we do not hear or sacred sounds. This name can mean to open the mystical ears. Our ears are limited and cannot hear when we do not know the meaning, like when we hear a foreign language but we do not understand it. One example that can illustrate this point for children is the language or elephants. Part of their language is bellow our range of hearing but with microphones and amplification their language can be made audible to humans. What does divine hearing mean? What is a sacred sound? Are there sounds that we cannot hear?